The leader of the Polisario Front, Brahim Ghali, has become, with the passing of time, an excellent impostor who shamelessly lies to the thousands of Sahrawis sequestered in the Tindouf camps and fools them that a better tomorrow is in store for them. 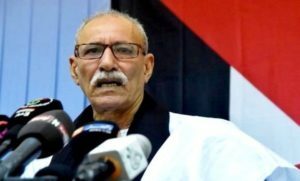 Last Saturday (July 4), Brahim Ghali assured, in the presence of Polisario executives, gathered in Boumerdes in northwestern Algeria, that the European Court of Justice (ECJ) “will annul any convention relating to the land and maritime wealth of Western Sahara “. He also denounced some European countries for trying, he alleged, to circumvent the decisions of the ECJ, saying he was sure “the ECJ and European justice will uphold the Sahrawi people’s right to defend their wealth until they gain their freedom and independence”. However, the situation is totally different on the ground. The European Union and Morocco have just initialed in Rabat a new partnership agreement in the fisheries sector, including the waters of Western Sahara. The agreement will enter into force as soon as it is ratified by the European and Moroccan parliaments. With the exception of Algeria, and a handful of countries from Latin America, and some African English-speaking states, led by South Africa, which still recognize the ghostly Sahrawi republic “SADR”, the Polisario has lost many of its traditional allies. Also, it cannot rely on any of the five permanent members of the UN Security Council to defend its utopian independence claims. The Tindouf camps populations are increasingly aware that the Polisario leadership and its Algerian sponsors have lost many diplomatic battles against Morocco. These populations’ only remaining hope is reunion, some day, with their relatives and their families in the southern Moroccan provinces.